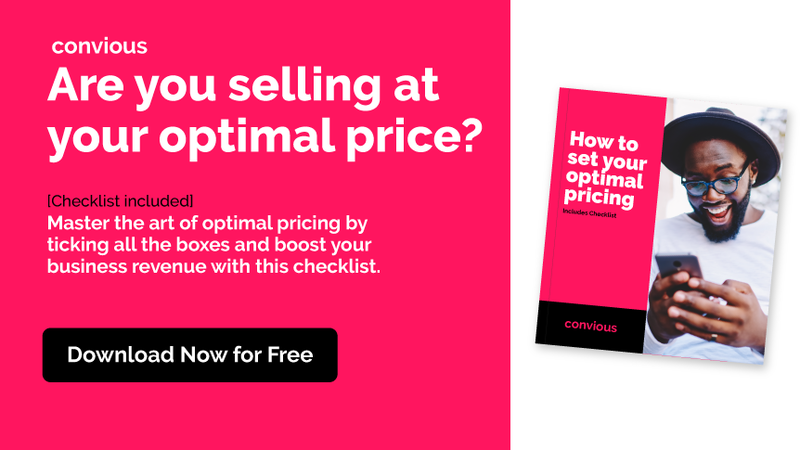 We've been talking about conversion rates and how to optimize it for a while now. 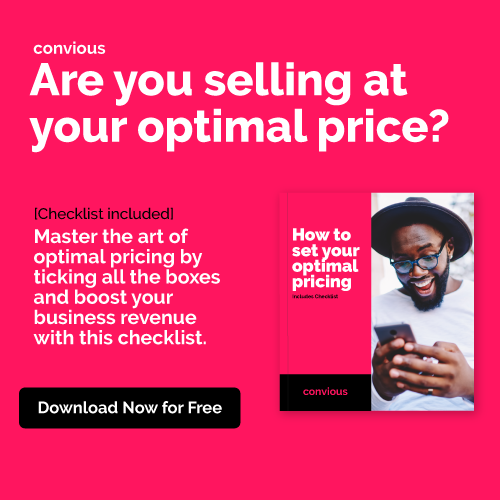 From posts like the '5 strategies for conversion optimization' to 'How a culture of growth can increase conversion rates', we've approached tools, techniques and even broader elements like the organizational culture itself. But we never talked about the product. Yes, while analyzing growth from a cultural perspective we agreed upon continuously testing and improving the product, but there is a missing element that I would like to discuss in this post: the power of habit. Stop and think about the first 2 or 3 apps that you've used today. Do they have anything in common? Let me guess a little bit. You woke up this morning and within the first 15 minutes you've checked your smartphone. Am I right? By any chance, have you checked your Instagram, Facebook, or WhatsApp feeds? If you're among the majority of the internet users (at least in the US), you definitely did it. If you didn't, don't worry, you are just the exception that proves the rule. This is 'a habit' for you: you wake up every day and check your social feeds. From the dictionary, a habit is an acquired behavior pattern regularly followed until it has become almost involuntary. Habits are one of the ways your brain learns and executes complex behaviors, so when you check your Instagram your brain is actually just trying to relieve your need of getting social. Ok, you got it, habits are about automating behaviors. But why 'those' apps, how do they do that, do they have anything in common? The answer is simple. Yes, they do have lots in common. Most of the successful products that you see out there are designed and engineered to create the sense of habit. There are also lots of researchers studying the subject. One exponent within the industry is Nir Eyal. 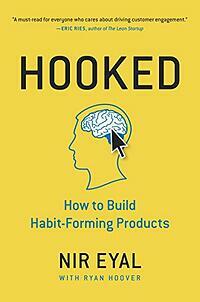 Eyal has written the book Hooked: How to Build Habit-Forming Products and also teaches the subject at the Stanford Graduate School of Business. According to Eyal, habit-forming products follow patterns and "...are experiences designed to connect your user's problem to a solution." Does it sound obvious to you? It may, as most of the companies are trying to solve clear problems, with specific missions, but according to the author, after comparing several companies and product outcomes "the impulse to open Facebook, check Salesforce, or play Candy Crush Saga is no coincidence." Those products are designed for habit and create a hook by following a four-step approach. 1. The Trigger: Loading the trigger primes users to stimulate the part of the brain that makes them feel good. This kind of stimulation is usually present when you are laughing with friends, landing a raise or crossing a task off on a to-do list. This is the feeling that will trigger the users to get to the next step. 2. The Action: After your brain has triggered that feeling, your product is designed to call the user to action. 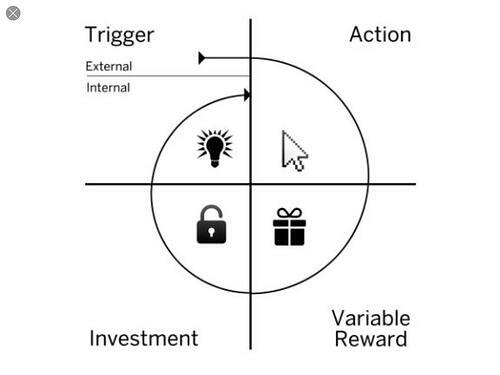 This call-to-action (CTA) can be internal or external, with the first being associated with internal emotions and the second more related to external CTAs and messages. 3. The Reward: This is the whole reason why your user will click your CTA. The reward could be finding new stories after scrolling a newsfeed, could be getting a response after messaging a friend, or could just be about getting new emails after checking for it. 4. The Investment: The latest step is about the investment that your users will do on your product. It could be, but it's not always the case, money. It could be the time spent with your product, or the data provided, or many other aspects that will depend on your business model. If the process is done properly and your product has the ability to enhance over the time the hook is created. This is what will make your users keep re-triggering their actions frequently and ending up building a new habit. There are several advantages to building habit-forming products. Users that have actions triggered often and really enjoy the rewards are more likely to become loyal customers and stay with your solution longer. Habit-forming products are also the phenomenon behind many high-growth companies, as they boost organic growth and reduce the spending with marketing strategies. In terms of KPIs, those products also help to deliver better user retention rates, higher user engagement rates, higher quality traffic, lower cost per acquisition and, of course, higher conversion rates. In summary, this is a very effective strategy to grow and increase your competitive advantage. It's not easy, demands great teams, but it's proven to work. I would love to hear your opinion on the subject! If you like the post please share it and if you think that you might have more to add feel free to comment and let's keep the conversation going!